With the belief that we must rebuild our communities, Pittsburgh Councilman Rev. Ricky Burgess earlier this month provided what he considers a tool to initiate the process. “Just because our communities may be poor doesn’t mean we need to live poorly. We need to transform our neighborhoods from neighborhoods of concentrated poverty to stable mixed income neighborhoods in all parts of the City of Pittsburgh,” he said. “We need our own stores, grocery stores, drug stores, gas stations and we need our own entrepreneurs. We need clean, decent affordable housing for everybody despite income levels. Everyone, if they want, deserves the opportunity to own their own home.” Rev. Burgess made these remarks during a Neighborhood Assistant Corporation of America workshop. More than 300 people attended the HELP Initiative, NACA Home Buyers and Realtors workshop at the Kingsley Association. The four-hour Home Buyers training focused on NACA’s free home-buying counseling and community advocacy and homeownership organization. 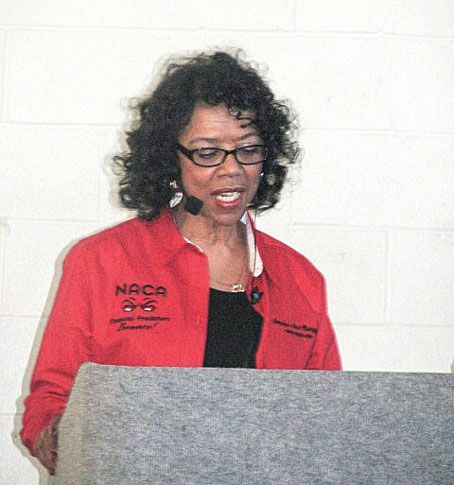 The two-hour realtors component was designed to prepare real estate agents how to participate in NACA. “Building partnerships and relationships with local agents is key for whatever area we go into,” said NACA mortgage trainer Sheila Wilson. “We have been working in Pittsburgh for a while and want realtors to be prepared to accommodate potential homebuyers.” With the large number of people attending the Home Buyers Mortgage Workshop and over 40 people participating in the Realtors Certification Workshop, she said both were very successful. Real Estate agencies represented included Keller Williams, Coldwell Banker, ReMax and Choice Homes. Additional organizations involved in planning the event included East Liberty Neighbors, East Hills Consensus Group, Homewood Community Development Collaborative, Larimer Consensus Group, Lincoln-Lemington Consensus Group, the office of state Representative Ed Gainey and Bridgeway Capital. NACA, a non-profit organization established in 1998, is defined by its leadership as a community advocacy and homeownership organization with the primary goal to build strong, healthy neighborhoods in urban and rural areas nationwide through affordable homeownership. They report that they have made the dream of homeownership a reality for thousands of working people by counseling them honestly and effectively, enabling even those with poor credit to purchase a home or modify their predatory loan with far better terms than those provided in the prime market. Known for no down payment, no closing cost, no private mortgage insurance, character lending, no perfect credit, and below-market interest rates, NACA’s mission is to make homeownership available with the best terms for its members who otherwise would be prevented from obtaining an affordable mortgage. Utilizing a proprietary software system, they developed “NACA-Lynx” —enabling the organization to administer a comprehensive housing counseling program where their members are prepared for homeownership and qualifies to obtain mortgage financing. NACA-Lynx is described as a paperless, web-based mortgage counseling, processing and underwriting system to make the home-buying experience very convenient and efficient. NACA also creates a personal web-file providing updates for its members outlining their status and next steps. Members also receive comprehensive one-on-one counseling which NACA officials consider the cornerstone of its program. The Homewood, East Hills, East Liberty, Lincoln-Lemington-Belmar, and Larimer Protection Initiative is a comprehensive resident-driven initiative designed to protect, strengthen, and rebuild the targeted communities. The HELP Initiative’s overall goals are to: protect, preserve and increase affordable housing choices in Pittsburgh’s East End neighborhoods; support positive outcomes for families who live within the communities; transform targeted communities of poverty into viable, mixed-income communities; ensure green infrastructure and sustainable design principles are incorporated in targeted communities planning processes; and facilitate local business development within the communities.